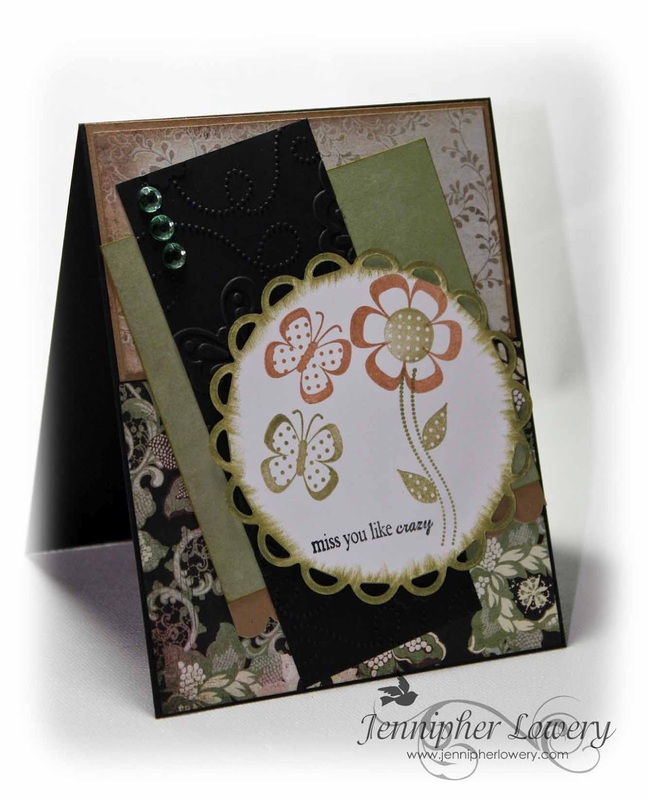 Our challenge this week at The Perfect Sentiment is to create a card with a sentiment of "missing you" and include something with wings on it. My card design was inspired by this sketch from Verve's Anni-VERVE-sary challenges day 3. 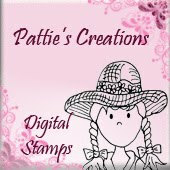 Supplies: Basic Black CS-Stampin' Up! ; Kraft CS-Recollections; Cappella DP-Basic Grey; Spanish Olive & Gingerbread chalk ink-VersaMagic; Peridot bling-Recollections; Black Soot, Crushed Olive & Antique Linen Distress Inks; Spellbinders Lacy Circles Die; Cuttlebug Butterflies and Swirls embossing folder; Petals and Stems stamp set by Verve Stamps; sentiment from Heartfelt Phrases stamp set by Verve Stamps. Be sure to stop by The Perfect Sentiment to see what my fellow designers created. Beautiful layout Jennipher! Very lovely. Love that DP. The textures are really great too! This is stunning! I love the colors. Thanks for joining us at the FBW Challenge! You used one of most favorite butterfly images here - love your card! Thanks for playing with us at FBW! 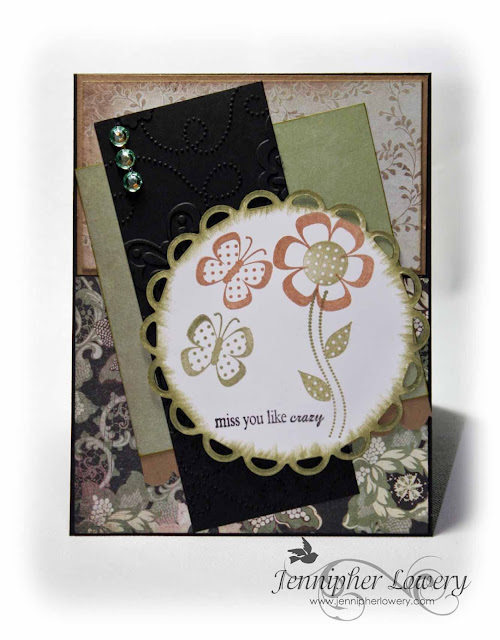 A fabulous card with wonderful DP choices...not to mention that fab sentiment! Thanks for playing along with us this week at FBW! Gorgeous card! So striking with that black layer! Thank you for playing along with my Flutter By Challenge!! i love the layers on it and the colour-combo! Beautiful...and I love this sketch. You interpreted the sketch in a wonderfully unique way and the the outcome is sheer beauty. Very pretty card with gorgeous DP. Love the layout and cute butterflies.